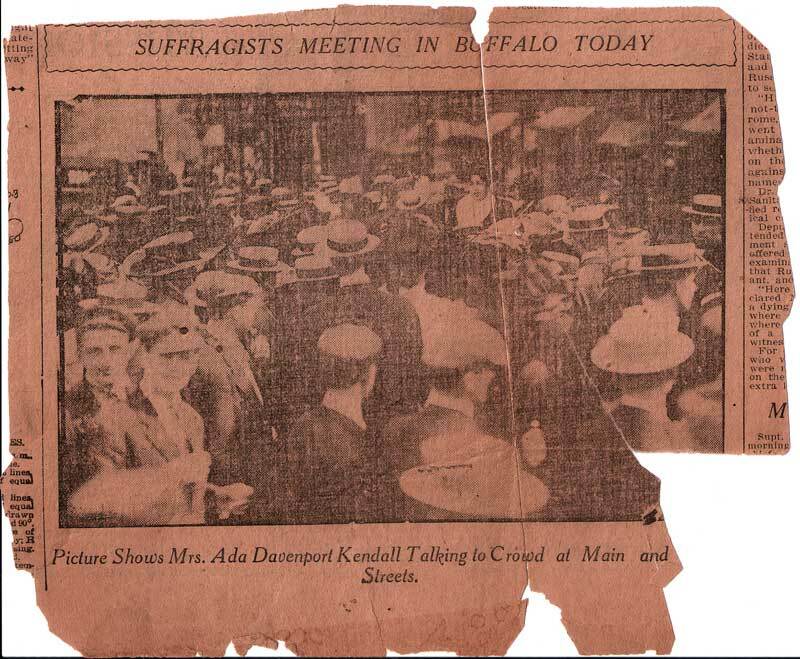 Many of the women protesting with my great-grandmother in 1919 were society women, wives of prominent politicians, elegant and dignified, and they couldn’t believe how they were treated when all they were asking for – peacefully – was the right to vote. 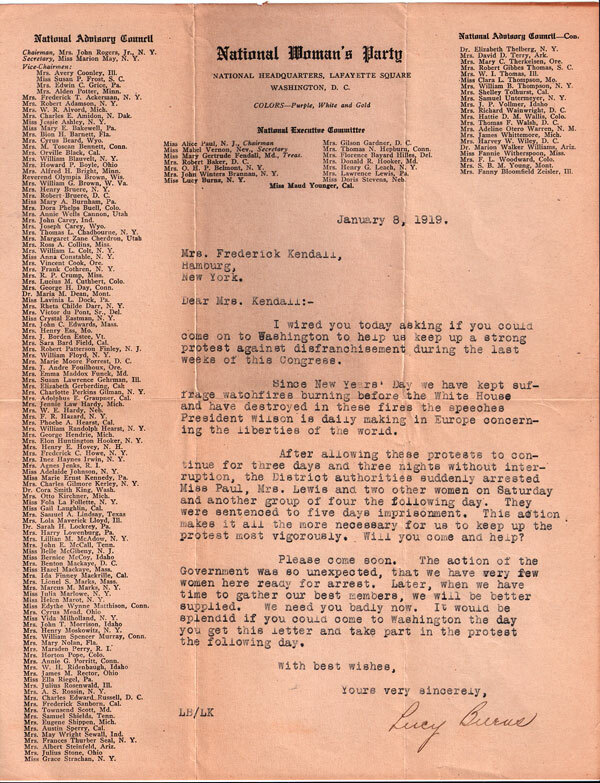 Letter from Lucy Burns requesting Ada to come to Washington immediately. Many of them were jailed. Ada was sent to the notorious Occoquan workhouse – where conditions were far more ghastly than most people know. The Occoquan, she wrote, was “a place of chicanery, sinister horror, brutality and dread” from which “no one could come out without just resentment against any government which could maintain such an institution.” Family legend has it that her husband, Frederick Kendall, printed her letters to him in his newspaper and eventually word of the atrocities to these women spread around the country. She got the jail, the jailers, and some dreadful politicians into so much trouble that she was released early, and they begged her to leave the jail. Of course, she refused. She insisted that every single suffragette who was still being held – without charges, without a trial, and treated with great cruelty – had to be released as well. After that she was confined to solitary again and when she protested that treatment again by going on a hunger strike she was forcibly fed – which, the way it was done back then, was another form of torture. A man was beating his horse with a whip in front of her house, and she dashed outside, grabbed the whip, and began whipping him with it. She had a beloved parrot who she called Pol. When she was twenty, she became the first woman reporter for the Buffalo Express. The then city editor, Frederick Kendall, (he later became publisher) objected strenuously – but within two years they were married. I love to imagine their conversations! While Ada was incarcerated at the infamous Occoquan workhouse, she spent much of her time in solitary confinement, where she made friends with one of the many rats, shared with it her meager portion of maggot-infested food, and named it Machiavelli. The lady of my dreams. 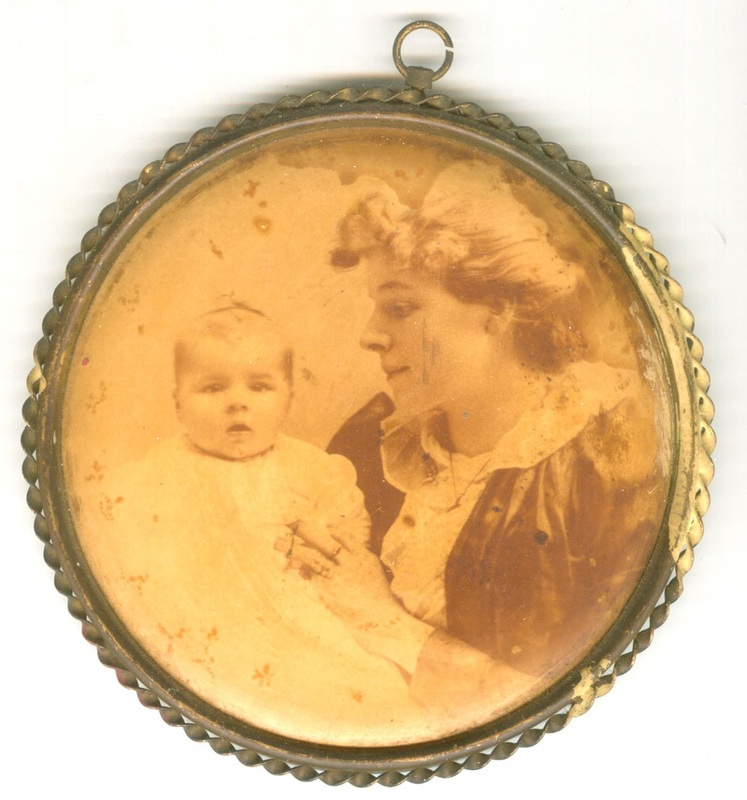 This entry was posted in Inspirational and tagged Ada Davenport Kendall, author, female entrepreneur, Feminist, Grandmother, Great grand-mother, herstory, Inspired by my mom, inspiring story, Mother, Occoquan workhouse, poet, Right to Vote, Suffragette, United States, Winslow Eliot. Bookmark the permalink.